Panasonic has further expanded their Lumix family of compact digital cameras with their latest release, the Lumix DMC-FH7. 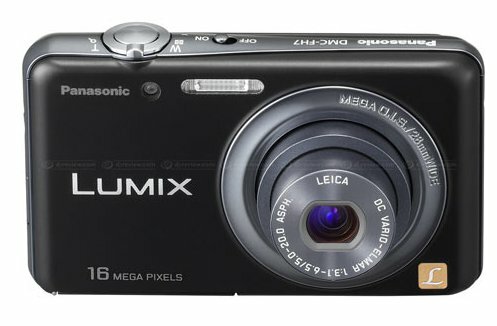 Of course, compact digital cameras are pretty much on par with one another these days where its specifications are concerned, so how else is Panasonic going to differentiate their product from the others in the market? Well, for starters, the DMC-FH7 will be a 16.1-megapixel shooter that sports intuitive touch-controls. Being stylish on the outside, that does not mean it is a slouch underneath the hood. For instance, it sports a retractable high-quality 28mm wide-angle LEICA DC lens that has an impressive 4x optical zoom to go along with it, not to mention High Definition video capabilities which will record in 1280 x 720p at a smooth 24 fps for clear and vivid images. Other hardware specifications of the Lumix DMC-FH7 include a 3″ Smart Touch Screen that lets one gain access to Touch Auto Focus (AF), Touch Zoom, Touch Shutter and Intelligent Scene Selector through the simple touching of the screen. This translates to the entire menu setting options being made available via touch control. When you access playback mode, you are able to drag the image across the screen with your finger in order to browse the photo collection in its glory, as though it was a page in an actual book. There are three other modes to help you access your creative juices, where they comprise of Beauty Retouch (allows users to retouch faces), Esthetic (creates effects on faces such as clearing skin texture and whitening teeth) and Makeup (gives color options such as foundation, eye-shadow or coloring for the lips and cheeks). The Panasonic Lumix DMC-FH7 will rely on Panasonic’s Venus Engine VI image processor inside that is capable of helping you shoot really stunning images, with its powerful Intelligent Resolution technology that targets a trio of areas – outlines, detailed texture areas and soft gradation. There is 84MB of internal memory just in case you run out of space on your external memory card. No idea on when this black colored camera will ship nor how much it will cost though, so stay tuned.